Professor Claudia Mitchell was in an Ethiopian airport on her way to Russia when she received an email from the Pierre Elliott Trudeau Foundation asking her to give them a call. With no phone in sight, Mitchell waited anxiously until landing some hours later to learn that she had garnered a prestigious Trudeau Fellowship. “They said, ‘you clearly walk the talk because you are traveling from one girl-led project to another,’” said Mitchell. The Foundation announced the 2017 fellowships today in Montreal. Each year, The Foundation names up to five social sciences research Fellows who are actively working on one of four themes: Human Rights and Dignity, Responsible Citizenship, Canada in the World, and People and their Natural Environment. In addition to $225,000 in research funding and allowances awarded, a Trudeau Fellowship connects researchers with a vast network of scholars, Fellows and mentors, and provides them with opportunities to contribute to public dialogue at events organized by The Foundation. This year, five Canadian researchers were named Fellows. Driven by her passion for social justice as well as by her seemingly boundless energy, Professor Mitchell has long been a connecting force for young women and girls across borders and between cultures. The founder of the Faculty of Education’s Participatory Cultures Lab and Director of McGill’s Institute for Human Development and Well-Being (IHDW), her research includes employing visual methods — such as cellphilms (videos made with cellphones), photography and archiving — to engage young people, on a variety of subjects, including HIV/AIDS prevention and education on sexual violence. The Participatory Cultures Lab has included major research sites in Ethiopia, Kenya, South Africa, Russia, and all across Canada. Professor Mitchell’s Trudeau Foundation-supported project will continue to listen to youth voices, using visual tools to help them to communicate strategies to prevent sexual violence and promote well-being. The long-term goal, says Mitchell, is to encourage community-wide and policy change. Activities associated with the Fellowship will include an international conference on girl-led initiatives, a series of media-making workshops in nine countries and a travelling digital exhibition of girl-produced digital productions. Asked to recount a story of the impact her work has had to date, she talks about one of the first groups of young, rural women that she worked with in South Africa as part of a partnership grant, Networks for Change and Well-being. Now four years later, these graduates of Nelson Mandela Metropolitan University have in many cases returned to their communities to organize girls clubs. Together, they published a book called 14 Times a Woman, Indigenous Stories from the Heart, an autobiographical text now used in schools to educate about sexual violence. 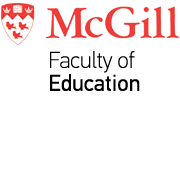 The Fellowship is one among many important postings and prestigious honours to Professor Mitchell’s name: she has worked with the Canadian International Development Agency (now Global Affairs Canada), UNICEF, UNESCO, and the Gorbachev Foundation. She is a Fellow of the Royal Society of Canada’s Academy of Social Sciences. In 2016, the Social Sciences and Humanities Research Council recognized the impact of her quarter-century of SSHRC-funded research and other achievements with the SSHRC Gold Medal, the agency’s highest honour.